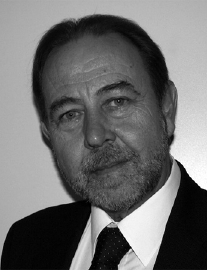 Graham is a founder member of the Spectrum IFA Group and one of the three directors of Spectrum’s French company. After 14 years in Building Society management in the UK, Graham relocated to France some 25 years ago. He therefore has considerable knowledge and experience which is invariably appreciated by his clients. As well as passing the Chartered Institute of Insurers Financial Planning Certificate, he is particularly proud to be one of only a handful of British IFAs to be officially recognised as a ‘Conseiller en Investissements Financiers’. Although based in the Paris office, Graham lives on the Brittany borders with his French wife, allowing him access to clients throughout the whole of Brittany, Basse Normandie and the north-west Pays de la Loire. When time allows, Graham enjoys gardening, exploring the many historic monuments in the region and travelling around the whole of France visiting and socialising with his extended family.